This is one of the most intriguing of museums – effectively an open-air museum of historic buildings. 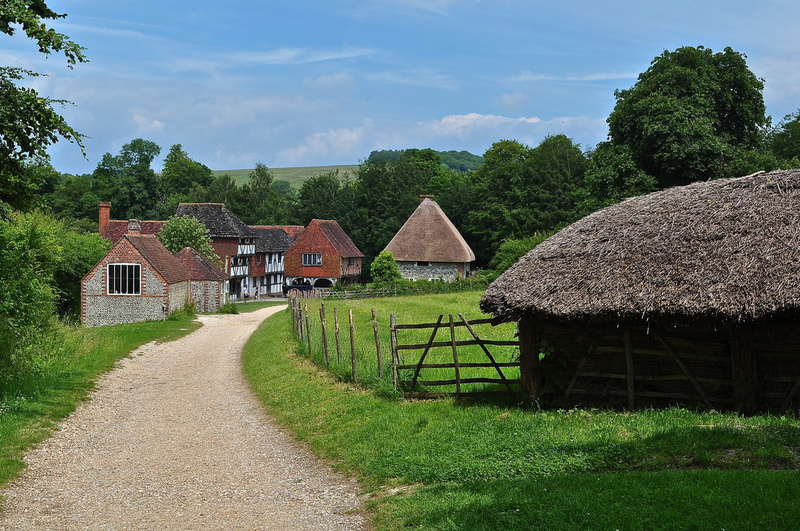 The Weald & Downland Open Air Museum in the Lavant Valley displays 50 traditional buildings in a rural landscape of 50-acres, telling the story of the men, women and children who lived and worked in them over a 600-year period. Saved from destruction, they span the period c. 1300 to c. 1910. 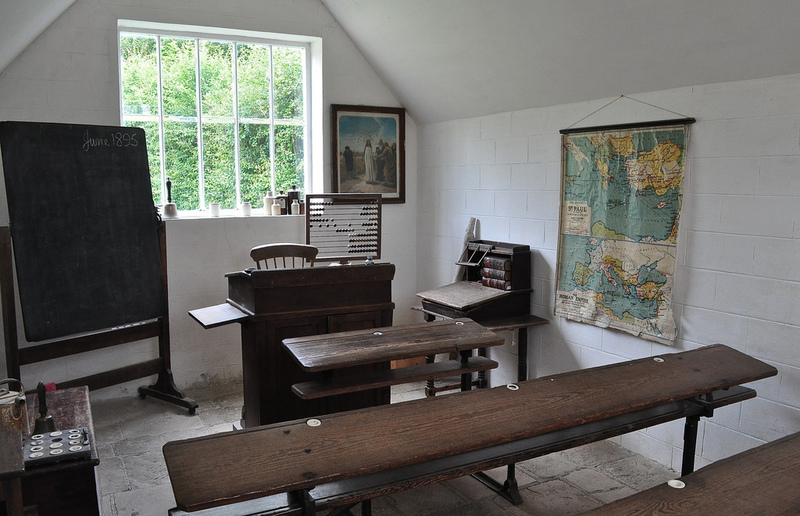 Some interiors – like this School House, are furnished, others are empty shells that you can investigate at your leisure. Still more, have house stewards, telling you the history of their particular environment. And your Hound can come with you too – it’s a very welcoming and warm environment for the entire family. 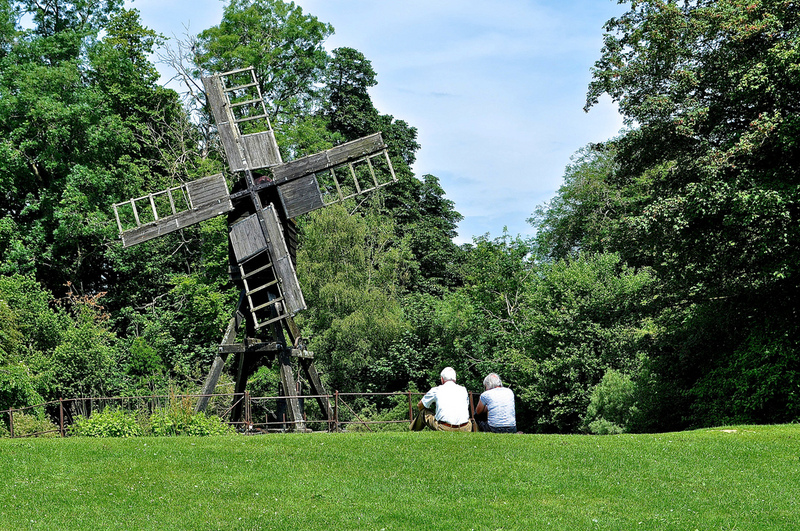 It’s not only buildings that are displayed – this windmill is surrounded by ducks and ducklings nesting by the lake. 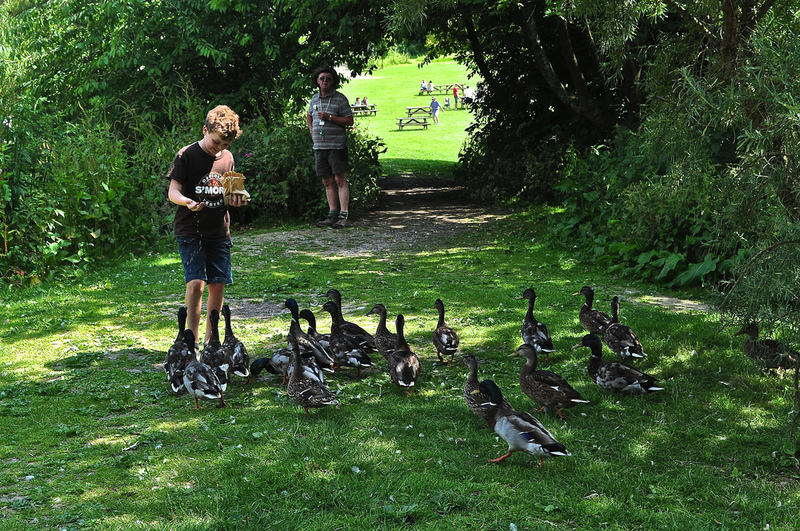 As you can see, there are quite a few of them that with a bag of bird seed, are instant best friends! Farm machinery, carts and tools can be found inside some of the barns, telling their own stories. 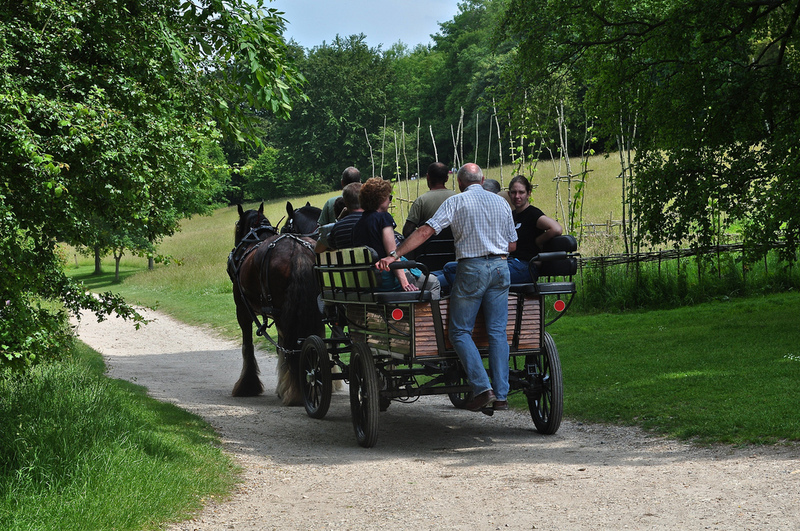 There are also horse and cart rides, pulled by statuesque Shire horses – Neville, Mac and Major. South Down sheep and Tamworth pigs can be viewed in the landscape whereas closer to hand, geese and Light Sussex chickens run around. 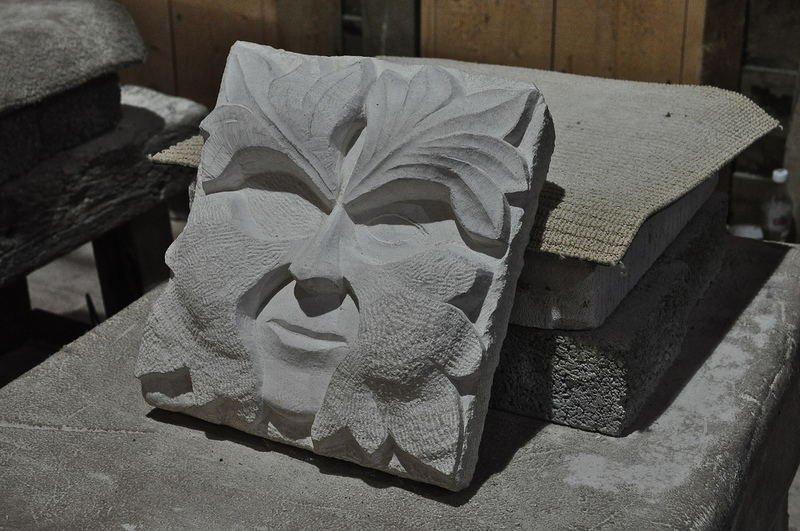 The crafts of the countryside – stonemasonry, stained glass, lead working – is explained in creatively laid out exhibits inside some of the historic barns. 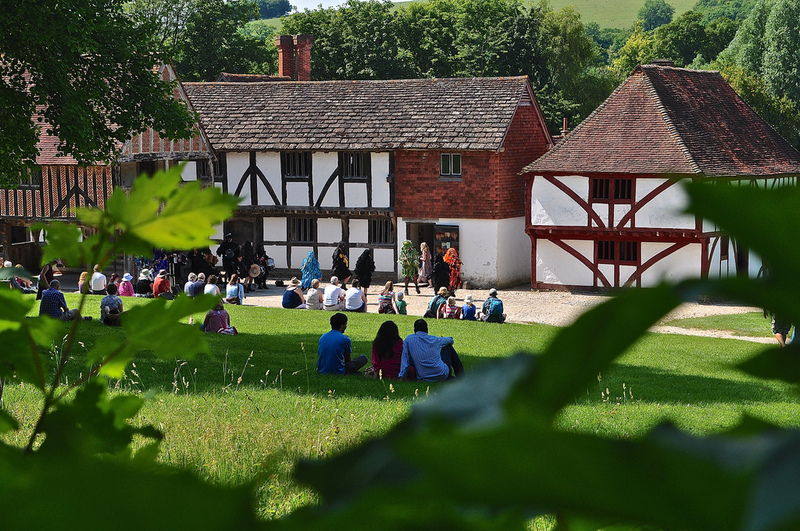 When we visited, the Mythago Morris dancers and musicians were performing making this the most perfect of Midsummer Days. I strongly encourage you to visit this amazing museum – we will certainly be returning to see the buildings we missed and to continue our chats with the miller! 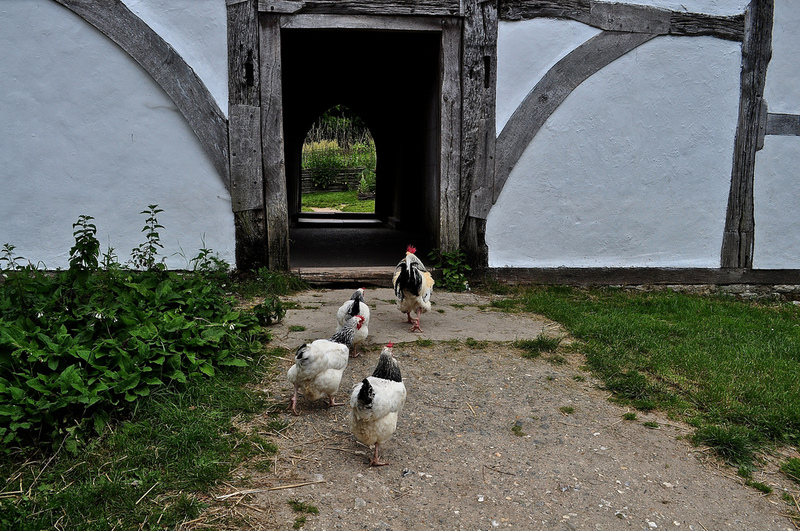 Weald & Downland Open Air Museum, Chichester, West Sussex, PO18 0EU, Tel: 01243 811363. Opening daily until 22nd December 10.30 – 6pm (from 26th October – December, 10.30 – 4pm), adult entrance costs GBP11.90 with children aged four – 15, priced at GBP6.50. A family ticket is available at GBP33,50. There’s a well-priced cafe on site serving a wide range of dishes and there are picnic tables for those who bring their own food.